Those who deny George Washington’s connections to the Jesuits and being involved with a hidden Luciferian New World agenda need to read the following article reprinted below from a Catholic publication. Those critics need also examine the Washington family crest, which Washington displayed proudly on his uniform during the American Revolution. It is the contention of researchers, who consider Washington nothing more than a traitor like Jefferson and Franklin, that he had been hand picked by Jesuit General Lorenzo Ricci and Jesuit Bishop and land baron, John Carrol, to carry out the Order’s hidden agenda and dirty work. Washington’s family crest is quite revealing and shows his true colors and since symbols are important to the occult, does his crest reveal his hidden agenda was tied together with the Jesuits? Let God’s word, as Bible believers declare, in the Book of Daniel be our confirming authority. This refers to the Babylonian Empire, which reigned supreme in Daniel’s time. Washington’s family crest remarkably is what Daniel warned us about. George Washington’s Family Crest features a griffin, a mythical beast with the head and wings of an eagle and the body of a lion. The crest was part of the Washington family’s full coat of arms. Washington used the crest on his silver throughout his life. The crest was also cast into four iron firebacks that Washington purchased in Philadelphia in 1787. Three intelligent Bible readers were contacted regarding Washington’s family crest and its significance according to the Book of Daniel. Here is another interpretation, agreeing with Freiss and Daniels and disagreeing with Phelps. 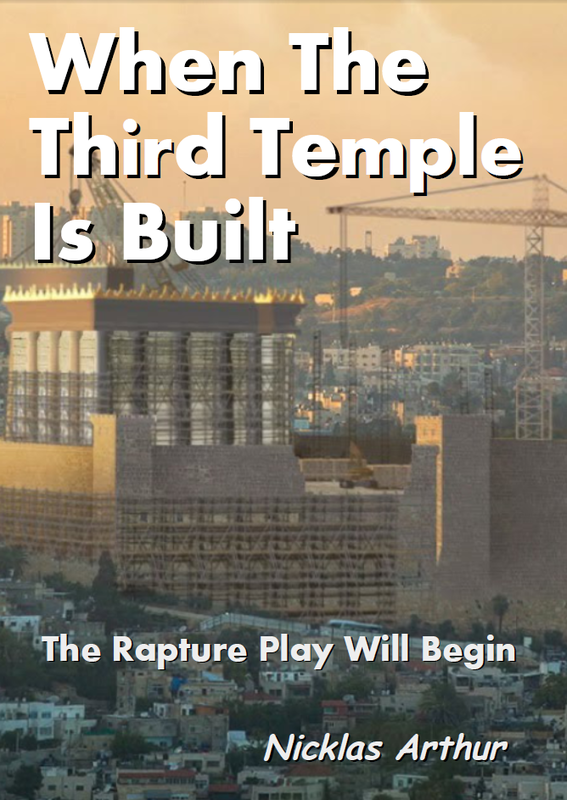 The following is taken from http://biblicalstudies.ozwide.net.au/mark_of_the_beast_666.html. Now that we have read the quote we need to identify the beast, but before we talk about the Beast we need to understand the back-ground and history preceding the Beast. The best place to begin is in the book of Daniel, which deals greatly with prophecy, from the 6th century B.C. down to the end of time. 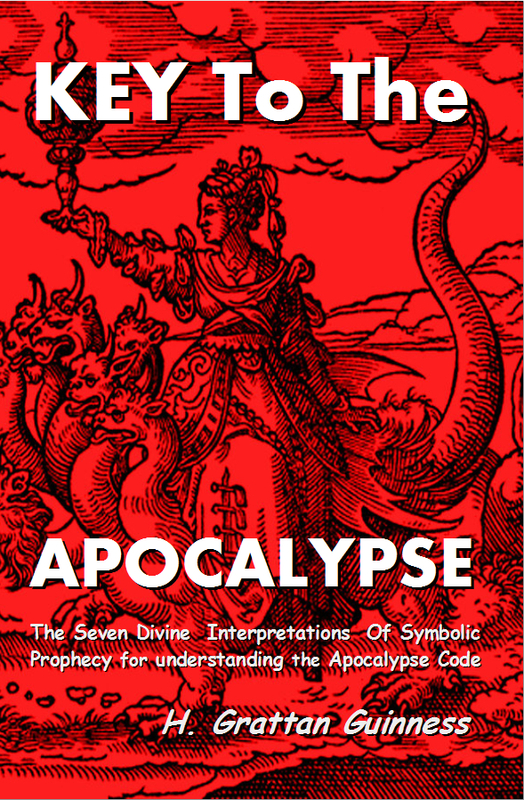 The interpretation of the symbols used in Bible prophecy has not been left to human guesswork. Prophecy is history written in advance, and the book of Daniel provides the key to understanding it. A beast in prophecy symbolizes a king or kingdom. “These great beasts, which are four, are four kings, which shall arise out of the earth.” Daniel 7:17 and “The fourth beast shall be the fourth kingdom upon earth,” Daniel 7:23 indicate this. Note that ‘king’ and ‘kingdom’ are used interchangeably. Daniel 7:3 states that these four kings “came up from the sea”, and sea or waters in prophecy represents “peoples, and multitudes, and nations, and tongues.” Revelation 17:15. In chapter 7 of Daniel we have the then current, and future kingdoms of the world presented to the prophet. “The first was like a lion, and had eagle’s wings: I beheld till the wings thereof were plucked, and it was lifted up from the earth, and made stand upon the feet as a man, and a man’s heart was given to it.” Daniel 7:4. This refers to the Babylonian Empire, which reigned supreme in Daniel’s time. “And behold another beast, a second, like to a bear, and it raised up itself on one side, and it had three ribs in the mouth of it between the teeth of it: and they said thus unto it, Arise, devour much flesh.” Daniel 7:5. This symbol too is the same as the one found in Daniel 2:39. The kingdom which followed Babylon was Medo-Persia. This was a dual monarchy with the Medes ruling first, the later the Persians. The prophecy indicates this aspect by noting that the bear ‘raised up itself on one side’. The three ribs represented other powers overthrown in its rise to dominance, namely Lydia, Babylon and Egypt. “After this I beheld, and lo another, like a leopard, which had upon the back of it four wings of a fowl; the beast had also four heads; and dominion was given to it.” Daniel 7:6. This symbol also represents the same power as the one presented in Daniel 2:39. It was the Grecian empire under Alexander the Great which overthrew the Persians, and when he died his kingdom was divided into four parts, as symbolized by the four heads. “After this I saw in the night visions, and behold a fourth beast, dreadful and terrible, and strong exceedingly; and it had great iron teeth: it devoured and brake in pieces, and stamped the residue with the feet of it: and it was diverse from all the beasts that were before it; and it had ten horns.” Daniel 7:7. This symbol is again the same power as the one represented in Daniel 2:40. The fourth universal power to rule the world after Daniel’s day was pagan Rome. It was so different from any beast Daniel knew that he was unable to name it. It was indescribable. The ten horns are noted in Daniel 7:24 as “ten kings that shall arise”. It is in fact that the Roman Empire was split up into ten smaller kingdoms between the years 351 and 476 A.D.
“I considered the horns, and, behold, there came up among them another little horn, before whom there were three of the first horns plucked up by the roots: and, behold, in this horn were eyes like the eyes of man, and a mouth speaking great things.” Daniel 7:8. This verse gives two identifying marks to locate the ‘little horn’ in history. It came up ‘among’ the ten horns (kingdoms) and ‘three’ of the original ten were overthrown in its rise to power. Later, in Daniel 7:24, another identifying mark is given. The little horn would come up ‘after’ the ten horns. There is only ONE power in all history that fits this description. In Rome itself in the very centre of the fractured empire there arose after 476 A.D. the PAPACY, the one-man government of the Catholic church. In its rise to power three of the Gothic tribes, the Heruli, the Vandals, and the Ostrogoths, were overthrown and disappeared from history. The reigning power of these kings passed to the Pope. The power of the Papacy was established by the decree of Justinian in 533 A.D. and was carried out by force of arms in 538 A.D. with the overthrow of the Ostrogoths by Justinian’s general, Belisarius. More identifying marks are given in Daniel 7:25. It says that he “shall wear out the saints of the most High”, indicating great persecution. No reader of history will deny the role of the Papacy in this. The dreadful persecution of the Dark Ages have indeed blackened the pages of history. Then he shall “think to change times and laws”. This the Papacy has done by disposing of the second commandment (forbidding the worship of idols) and changing the fourth (the only one dealing with time). 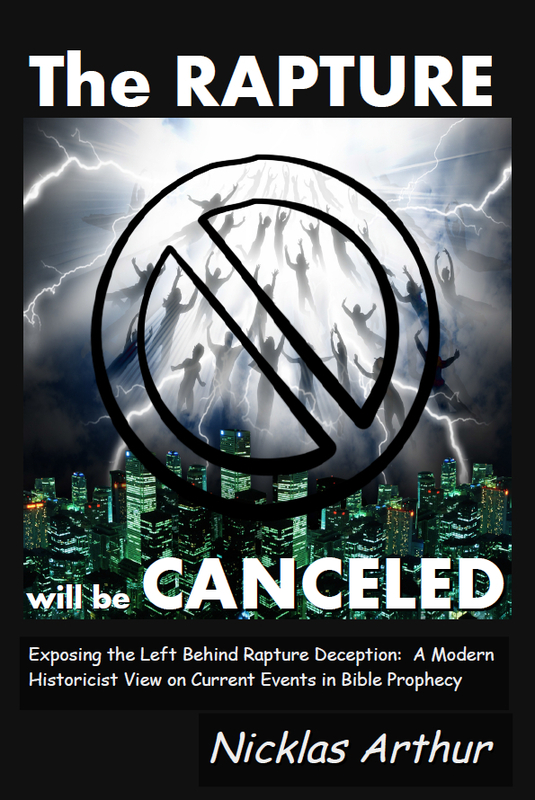 A false day of worship has been set up in place of the original seventh-day Sabbath kept by Christ and the apostles. The next identification leaves no doubts, as no other power on earth could fit the prediction. That is, he shall reign for 1260 years. This is mentioned twice in Daniel and five times in Revelation, as follows: “time, times, and an half” (Time = 1 Bible year of 360 days, times = 2 Bible years, an half = 1/2 Bible year; totalling 1,260) in Daniel 7:25, 12:7 and Revelation 12:14; “forty and two months” in Revelation 11:2 and 13:5; and “a thousand two hundred and threescore days” in Revelation 11:3 and 12:6 (A prophetic calendar year of 360 days, or 12 months of 30 days each, is used in Bible chronology). This power, then, would reign supreme for 1260 days, each day standing for a year, or 1260 years (Ezekiel 4:6, Numbers 14:34); from 538 A.D., when the last of the opposing ‘horns’ was uprooted, till 1798. In that year Berthier, one of Napoleon’s generals, took the French army to Rome, made the Bishop of Rome, Pope Pius VI prisoner, and carried him to France where he died. The civil power of the Papacy finally ceased and a republic was set up in Rome. But the prophecy regarding the Papacy didn’t end there. Look at a few references regarding the Papacy’s 1260 years of supremacy, in the book of Revelation. Starting at chapter 13 we find verses 1 to 10 talking again about the Papacy’s rise to power out of the fallen Roman Empire, its great power during the 1260 years, and the deadly wound it received at the end of that period. Verse 3 says, “And I saw one of his heads as it were wounded to death; and his deadly wound was healed: and all the world wondered after the beast.” We see from Daniel 7:21, 22 that this power would exist right up until Christ’s second coming. We have now positively identified the Beast of Revelation 13:14 – 18 as the Papacy or the Roman Catholic Church, but who is the image of the beast that is mentioned? Arises out of the earth. Rev.13:11 Arises in some new vacant or sparsely populated land. Has no crowns on the horns – verse 11 Not a monarchy – some form of republic. Exercises power equal to the first beast. Rev. 13:12 Becomes a formidable if not supreme world power. Only one power in history meets these five prophetic specifications, namely the United States of America. We see from verse 14 that it began with a humble nature but turns arbitrary towards the end of time. We see that it makes an Image to the Beast – an exact copy of what the Papacy was during its 1260 year rule. When the leading churches of the United States, uniting upon such points of doctrine as are held by them in common, shall influence the state to enforce their decrees and to sustain their institutions, then Protestant America will have formed an image of the Roman hierarchy, and the infliction of civil penalties upon dissenters will inevitably result. Prophecy reveals that America will exalt Sunday sacredness, which is the Mark of the Papacy’s authority to make up its own laws; and that the whole world will follow! It is the boast of the Papacy that it can change the Law of God, the ten commandments. This will become the deciding issue in the future, even to the point of death (Revelation 13:14, 15.). The LAW of GOD or the laws of men? Note that at this time “he doeth great wonders, so that he maketh fire come down from heaven on the earth in the sight of men” “insomuch that, if it were possible, they shall deceive the very elect.” (Revelation 13:13 and Matthew 24:24). The Papacy claims the change of the Sabbath to the first day of the week was her act and is the mark of her authority in religious things. ← Was George Washington Baptized Catholic? I am supposed to believe that Greg continues to attack the constitution as Tony Alamo is sentenced to 175 years jail??? You guys are complete idiots!!! A false flag constitution is nothing but a chimera, a phantom. Just listen when the bishops speak! But listen very, very carefully! From the guy that brought you your new Día del Ejército. “Loyalty” in the sense of “Loyola”. Hail! But the generals, the “dumb stupid” military men, now and then go and went along with the orders given them by the Cardinal criminals. And that always with a deadpan expression. And John Daniel in not a nobody, his website was once the only official outside link that Vatican Assassins provided. I would just read the mail correspondence on this subject at Vatican Assassins. May all the Planet go follow this new Hegelian Dialectic. When looking for the synthesis profiting from the thesis and antithesis, just follow my link. If it was posted. My previous comment on this topic was not. Well first of all, this article ends with the most unreliable source one can think of: A Roman Catholic forum. If you decide to go believe anything there, you end up kissing the popes ring. Or want to, first get an expensive necktie, become a pervert, and confess your perversion to certain Roman Catholic Priests. And if you obey them, than maybe you may Kiss the popes ring. I’m not going help you here. I don’t carry a ring myself, I would advice to kiss the wedding ring of your wife. ShaneCMuir, Greg is not attacking the Constitution, but wants the truth. I am here, because I want my constitution back, that was sabotaged some 200 years ago. I’m not an American, I am Dutch. My Constitution was set up by William Silent, who was a former Catholic, just as Greg Szymanski is. I am also worried about the American Constitution, because I have Sunday law now, while under my legal Constitution, the Sabbath was kept. My Constitution was Sabotaged by the Roman Catholics, to be more precise, by Jan Roothaan, who became the Jesuit General as a reward for sabotaging my Constitution. I very much doubt whether Greg is interested and to be rewarded as becoming the Jesuit General, neither does John Daniel. After listening to The Investigative Journal for 3 years, sacrificing my time, it’s like a part-time job, I know what Greg is about. And also, the majority of programs this year where on Tony Alamo Ministries, go take your complaint some where else ShaneCMuir. I am grateful very much to Greg, and have written several articles myself in Dutch on Alamo Ministries, where I was able to link to Arctic Beacon’s Tony Alamo interviews as a reference. The difference between the Dutch Constitution from the 1500’s and the American Constitution in the 1700’s is so huge, that I at the start had a hard time understanding why my Constitution would have inspired the American Constitution. The Dutch Constitution would make Roman Catholicism prohibited, the American Constitution did not, contrary, Roman Catholicism was prohibited in some of the States of the Union, while the American Constitution in 1776 made Roman Catholicism legal in all States. This is an argument in favor of John Daniel’s position here, because why a Constitution, if such a Constitution allows hostile foreign infiltration? I compare it to Churches. A Tony Alamo Church, when Tony is preaching the truth on Antichrist, will be a great experience to me. Preachers that tell truth on Antichrist, I never would hear or saw in Holland, where I live. The only European preacher I know, is Ian Paisley. I’m a big fan of his sermons of the 1960’s. A young but loud voice, having no need for a microphone. Also his media interviews are interesting, where he exposes the lying and cheating BBC. BBC is more terrible as FOX in America on these issues. Any way, I’m not interested in a Congregation, that denies Pontifex Maximus, who is also the end responsible for the killing of Jesus Christ Himself, is antichrist. All people know that the Roman Emperor, who was named Pontifex Maximus before the Pope was created by bribing the Bishop of Rome, would kill the students of Jesus Christ in the Roman Circus. As Tony Alamo is persecuted today, by the same subject, Pontifex Maximus, antichrist. I will try to stay neutral now, and follow this debate. I tend to always agree with Eric Phelps, because I experienced he is usually right on these issues. Maybe Eric Phelps cares to explain, why the American Constitution, would change laws in American sovereign States, that expelled Roman Catholicism, that where in that case sabotaged, as my Constitution was sabotaged around the same time. If a political instrument like Brookhiser points out, “what George Washington made a good president was that he was able to pick people and then he was willing to trust them,” what could it mean? Excellent comment, Geus. Very powerful. Canada’s current Chief Justice is Beverly McLachlan. Here she is wearing the traditional robes of the office. British New York attackers and Boer wars veterans are accusing Greg Szymanski as being a Jesuit Coadjutor. The day I will set a broom on the front my ship in order to whipe these inventors of concentration camps form the seven seas is further away than ever. After 4 Anglo-British wars in the 17th century, these British Romanists make efforts to destroy honest research again, while stealing the victories of Reformation for their blessed Bloody Mary Tudor! The King James Bible is for a part a forgery. I Quote Alberto Rivera when I say this, but also I can proof it from Geneva translations that I know from Dutch and the great translation by William Tyndale, that was one of the most important intellectual and military achievements for what we can thank Reformation. And I can see this, also without Alberto warning for it. Because the Geneva Bibles and William Tyndale’s Bible, do not contain the Roman Catholic word “Church”. This is a translation of the Koine Greek word Ecclesias, that was translated by William Tyndale as “Congregation”. This is so very significant, that also Brother Eric can be called a Jesuit Coadjutor, Coadjutoring with the Jesuit team that infiltrated the King James 1611 Bible, that is regarded as infallible by this horrible theologian, but great historian and researcher. And so it is with Greg Szymanski, that is making better programs than Brother Eric, although experience will be the reason here. The way Greg Szymanski is misunderstood by the British is typical. Better some Scotsman would take the lead!